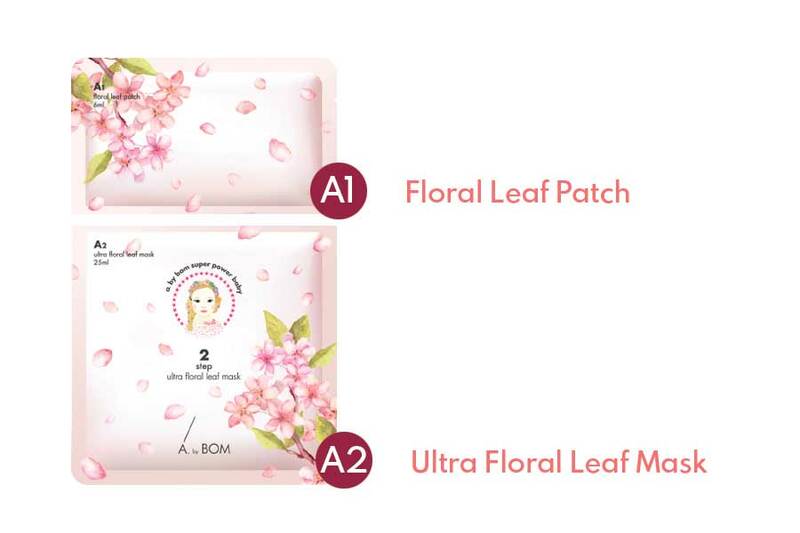 A. by BOM “ULTRA FLORAL LEAF MASK”. 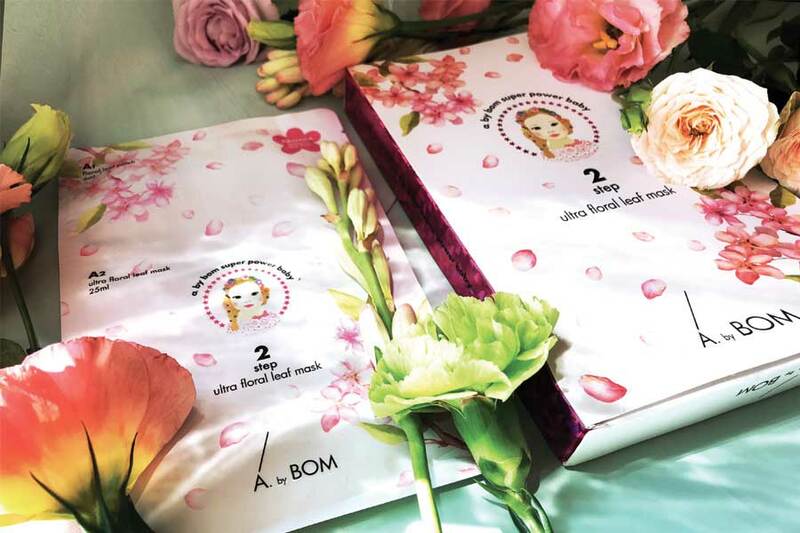 This Monday we introduce “Ultra Floral Leaf Mask”, a whole new type of mask from a Korean brand called A.by Bom. 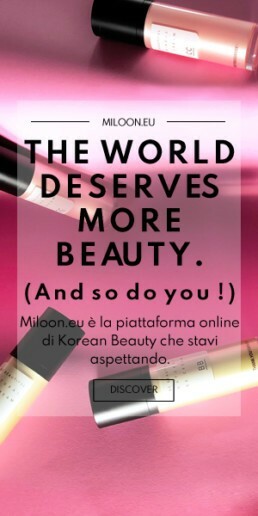 A. by Bom is a known brand for using ingredients from natural vegetable and botanical origin. “Ultra Floral Leaf” is as a two-step miracle. This organic mask is rich in Aronia extracts. This brightens complexion, prevents wrinkles as well as revitalizing skin. First step “A1: Floral Leaf Patch”. It contains pink flower-shaped patches. It has a double effects: whitening and firming. Sakura and peach flower extract will boost your skin with nutrition and moisture. Not to count the many anti-wrinkle benefits delivered. As a first step, use the flower patches on your skin. Start on such areas requiring extra care, like cheecks, forehead, eye contour. 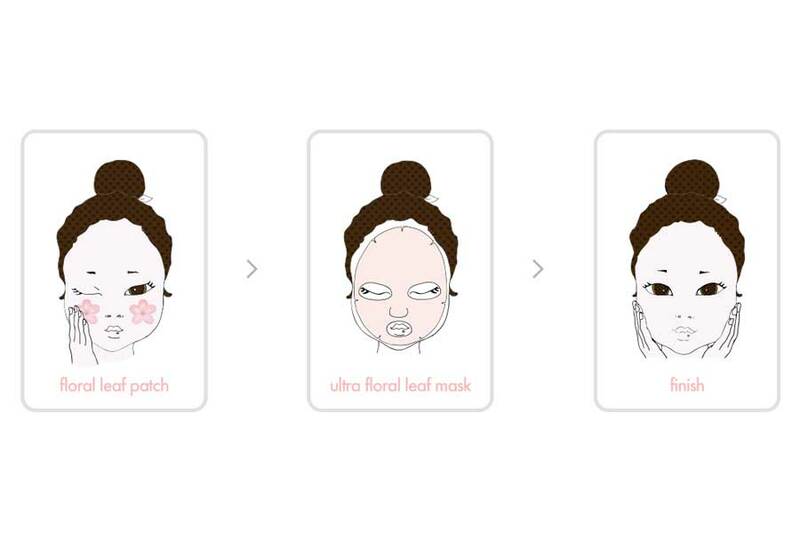 Second step “A2: Ultra Floral Leaf Mask”. Step number 2 consists in an ultra thin fabric mask to place over the flower patches. This thin mask sheet is 100% Lyocell, a natural cellulose material. It captures the active ingredients closest to the skin. This step will hydrate and moisturize your skin with floral ingredients. 2. Apply the flower patch(A1) on the concerned area such as under eyes, forehead or cheeks. 3. Apply the mask (A2) on the flower patches (A1). 4. Press the mask with your hands to remove gaps between mask and the skin. 5. After 10-20 minutes, take the mask off and pat on any residue onto your skin. Peach Blossom Extract: Nutrition, Vitalizing effect. Sakura Extract: Moisturizing, Relieving effect. 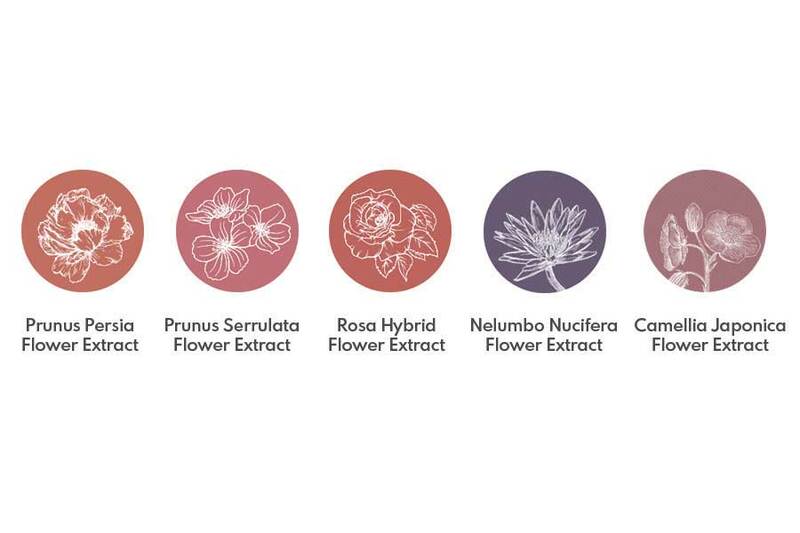 Rosa Extract: Hydration, Moisturizing, Relieving effect. Lotus Extract: Protection, Relieving effect. Camellia Extract: Sebum care, conditioning effect.